Local Inner West band Royal Headache (pictured above) has dominated the recent FBi SMACs awards, walking away with Best Live Act and Record of the Year for their acclaimed second album High. 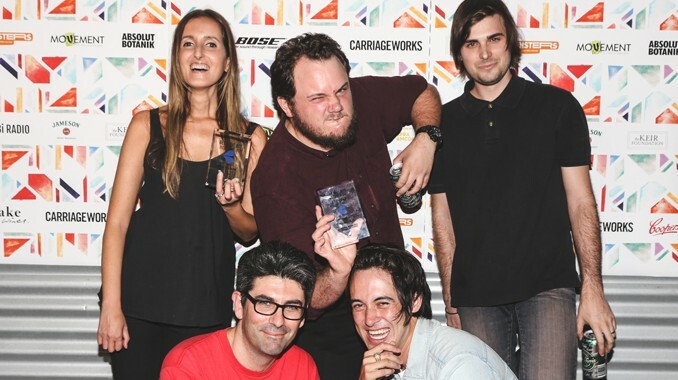 The awards, held at Carriageworks, aim to recognise local artists and culture makers through a system of public voting. This year, there were 12 different awards, with Ben Marshall – head of Contemporary Music at the Sydney Opera House – taking out the major prize. Formed in 2008, the four-piece band has cemented their place in Sydney’s live music scene through their consistently boisterous performances and notable punk rock sound. Sticking to their roots, the cover art for High features a looming water tower, which is located in frontman Shogun’s home turf, Petersham. Following the push from the State Government to forcibly merge the Inner West councils of Marrickville, Ashfield and Leichardt, local mayors are urging their residents to have their say on the issue. As it stands, the new mega entity is expected to be in place by mid-year. The Minister for Local Government, Paul Toole, has now referred merger proposals to the Chief Executive Officer of Local Government for review and report under the Local Government Act, calling for written submissions from the public. The final date for submissions is the 28th of February. Submissions can be made online at www.councilboundaryreview.nsw.gov.au. For further information, there will be a public enquiry held on the 2nd of February at Ashfield Leagues Club. To attend register before January the 29th on the website or by calling 1300 813 020. In the coming weeks a record number of deaf children will begin their first year of kindergarten, in mainstream schools, after graduating from The Shepherd Centre, a children’s charity dedicated to assisting children suffering from hearing loss. One of these students is five-year-old Beatrice Hunter from Erskineville. Beatrice is looking forward to starting school with speech and language skills which rival her ‘normal-hearing’ peers. The record number of children graduating from the program indicated the increased demand for support, with it costing up to $20,000 per year to provide speech and hearing therapy to one child. For further information or to donate to The Shepherd Centre please visit www.shepherdcentre.org.au.